Time flies so fast and now you come to realize that the baby you once carried in your arms will now dress up for her first Prom night. Mothers are among those people who get excited when this important day comes. 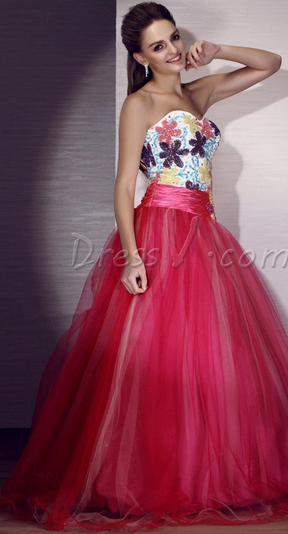 Sometimes they're the ones who prepare everything from collecting magazines about prom dresses 2014 here at this place http://www.dressv.com/prom-dresses-2014-c103441/ and the accessories that come along with it, gorgeous shoes as well elegant jewelry to complete the entire outfit. Since many of us are on a tight budget, here are some practical ways to ensure your daughter's prom night will be an extravagant and memorable event. You daughter's gown doesn't have to be one of those designer items. Look for style instead of brand here http://www.dressv.com/. Most of these dresses can be found in general department stores. When it comes to their footwear, choose those neutral colors so that it can also be used for future formal occasions. Some moms would really spend a lot for their daughter's hair and makeup in a salon, but if you can do it decently, then save some bucks and do it on your own. You are not just saving money, but also time and effort as you won't be going out from your house. After everything else, do not forget to take a picture of your lovely young lady before she goes to her Prom because this will be one of those moments that she will treasure for a lifetime. Mine has a while before she goes to prom, those dresses are so nice..
Those are such beautiful prom dresses! A few more years and my daughter will be going. Love The Red Flowered Dress Beautiful! !